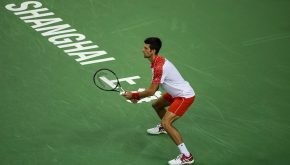 Second seed Novak Djokovic began his quest for a record fourth Rolex Shanghai Masters championship when he defeated Jeremy Chardy 6-3, 7-5 on Tuesday. 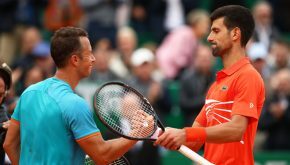 Novak beat the Next Generation star Borna Coric (ATP #40) 6-2, 6-4 in 78 minutes to move into the last 16 at Caja Mágica. 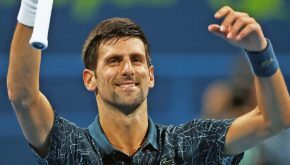 Nole reaches 700 wins milestone in Dubai! 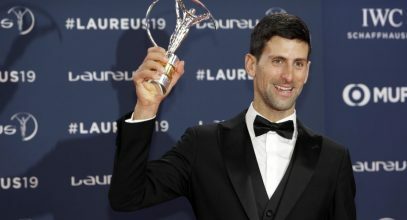 The world no.1 joined an elite rank of players to win 700 matches after he beat Malek Jaziri 6-1, 6-2 in second round on Wednesday. 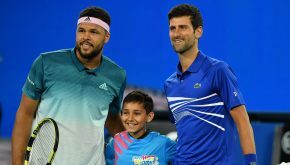 Novak rolled into the quarter-finals of the Qatar ExxonMobil Open with a speedy 6-2, 6-2 victory over Fernando Verdasco. 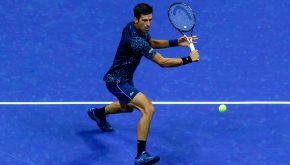 World no.1 opened his 2015 BNP Paribas Masters title defence on Tuesday evening with a 7-5, 6-3 win over Thomaz Belluci (BRA). 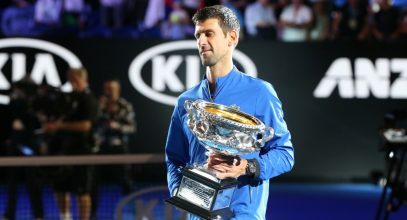 Nole began his title quest at the ATP World Tour Masters 1000 tournament with a comfortable 6-2, 6-1 win over world no. 44 Martin Klizan.